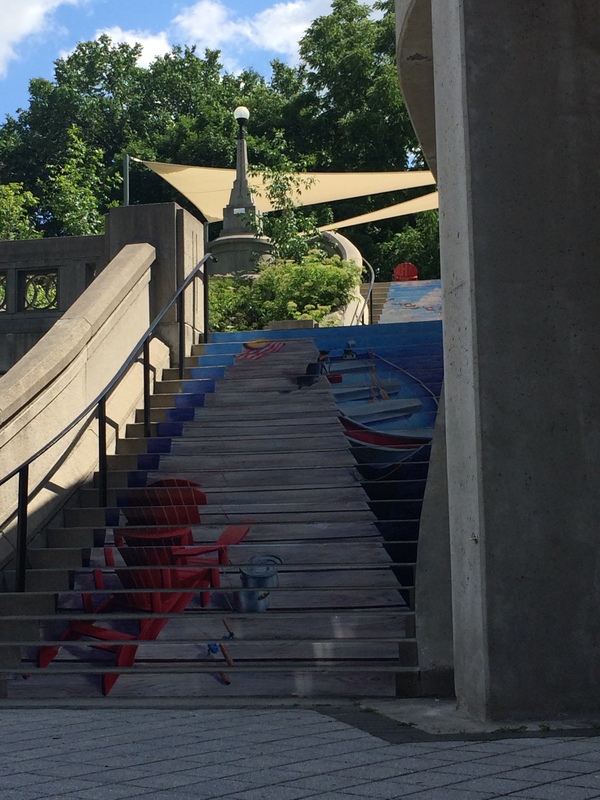 Ottawa is home to some amazing, creative initiatives that have the potential to make our city a better, more livable one. Ottawa (de)tours, which launched this spring, is one of these. Ottawa (de)tours are themed walking tours with a difference. The walks, led by knowledgeable guides, reveal the city from a particular lens. For example, the “Food” walk brings home the global food system by showing some thriving community food initiatives, while the “Play” tour passes some of the city’s outdoor and indoor leisure spaces, but with a critical eye to who accesses those places and for what. On the “Money” tour, you’ll look at how corporate banks and other financial institutions affect people’s lives, and discover some alternatives in our debt-reliant financial system. 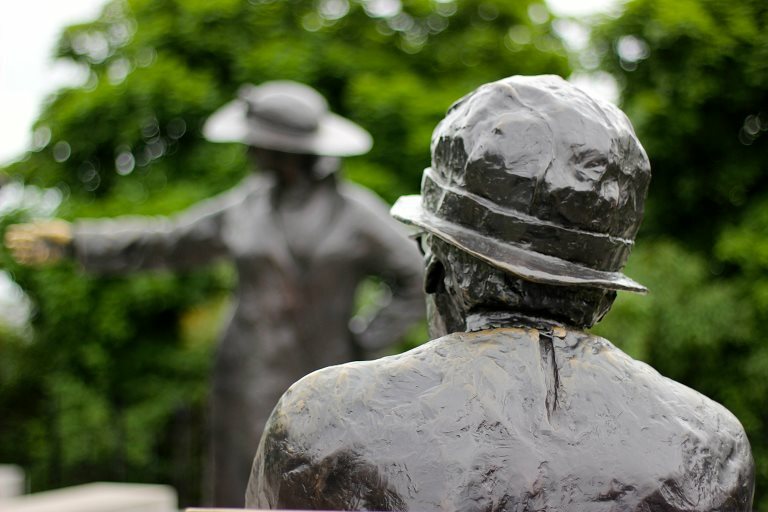 On the “Feminism” walk, you’ll visit landmarks that shed light on women in Canadian society and where their contributions have or haven’t been acknowledged. Sound intriguing? Each tours lasts 60-90 minutes and is part leisurely walk, part active discussion and part social gathering—you may start or end up at a café or restaurant. You’ll also get links to resources to help you investigate the topic further. I had the chance to meet up with Susan Johnston and Dan Monafu, community builders and Ottawa (de)tours co-founders, to find out more about what’s behind the initiative. Dan explains that the walks are intended to provide an opportunity for people to talk about issues they care about. The tours also link seemly disparate elements of our public spaces, by showing the connections, for example, between the Bank of Canada, payday loan companies, credit unions and other elements of the financial system. Ottawa (de)tours walks start from a historical perspective, but also critically analyze what is now and suggest what might be possible. “The bracketed (de) gets at deconstructing terms and…defining complex topics, and using narrative and storytelling to get people to reimagine what could be,” says Dan. Ottawa (de)tours are an intriguing way to ground discussions of important issues and concepts in physical space, to look critically at the design of our city and to appreciate what we have. A more detailed description of the themed walking tours is here, and you can reserve spaces online here. Each walk costs a nominal $2 in this, Ottawa (de)tours’ first season. Walks will continue until the end of October. A Brown Bag Lunch on Thursday, September 25, 2014 called #SummerOfBeta: Quit, Pivot, or Persist? Susan and Dan will talk about Ottawa (de)tours’ first season of operation and how to know whether to continue a new business venture. Noon-1 p.m.
Ottawa (de)tours Wine Down on Friday, September 26, 2014 from 5-8 p.m. Celebrate the official launch of Ottawa (de)tours and the end of their #SummerOfBeta, and help them look forward to their 2015 season.